I believe it’s because we are tapping into an absolute truth – the power of LOVE – and because through that truth we are connecting to a realm beyond the physical world. A realm which is eternal. 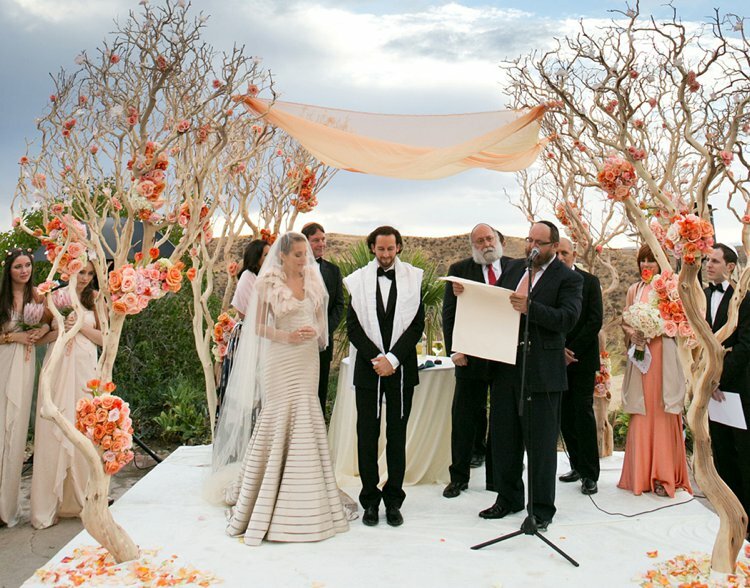 Our sages teach us that the souls of the bride and groom’s grandparents (if they have passed) and great grandparents descend to hover at the Chuppah and see their descendents united. …with G-d as the third participant. You see there is a heavenly mirroring going on. Our holy earthly actions are being met in real time with a divine blessing and involvement. While the ceremony is unfolding, there is something sacred and eternal being conjured above. An alchemy of souls, that has the absolute power to create a stir in the heavens and a ripple effect on earth for generations to come. There is a fusion of worlds; Time stands still for a moment and reality is altered, as your souls rejunite and become one. It is a privilege to be able to consciously tap into the crescendo of holy energy that is pulsing in the ethers around you. 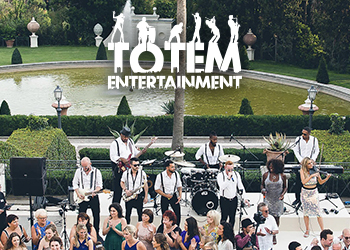 Having this awareness, and guiding the attention of your guests towards it as well, has the power to raise the entire vibration and sensation of the wedding experience. Why do we need a spiritual checklist anyway? 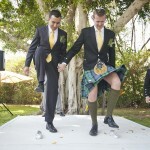 Our traditions give us a generous array of rituals through which to both infuse and decode the meaning of the nuptials. 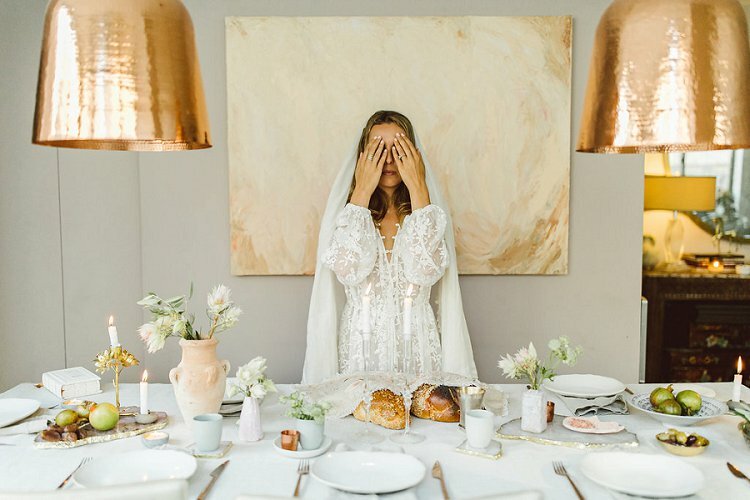 After putting on my own wedding under the guidance of some incredibly wise teachers, and being involved in the weddings of my family and friends, I’ve seen over and over how much beauty and essence these rituals contribute. We spend months deliberating over how the flowers should look, over what music should be played and what food should be tasted – but how much time do we devote to considering how everyone should feel. It is something that can infuse all your other decision making, and of course will affect the emotion of the day. Your guests will take away what you place importance on and what is most meaningful to you. Take the time to really learn with an experienced teacher, about the Jewish rituals that are available to you, from the Mikveh to the Yichud room. 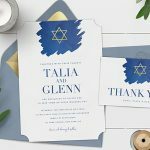 Emphasize those rituals that resonate – maybe it’s a euphoric Badeken surrounded by your lady loves, maybe it’s a heartfelt thank you note and explanation of Jewish customs in the ceremony program, perhaps it’s having the right person speak about the spiritual significance of the day when you’re under the Chuppah. Whatever speaks to you, give it a platform to be celebrated. It will make the day so much more significant and more memorable to everyone there. 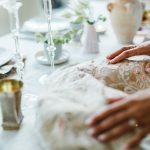 Just like all wedding planning starts months beforehand, so should your spiritual preparation. Want to be able to stay calm and centered when things go array? Want to be able to zone out and connect to something deeper when there is the usual day-of chaos around you? Establish a routine that realigns you and helps you find your center. It can be yoga, dancing, breathwork, meditation, prayer – whatever vibes with you. But master it, so it will transport you to your place of inner zen when you need it most. Appoint what I like to call your “emotional bodyguards” – that’s the friend who is going to calm you down and pivot you back to your center, when you notice that the wrong guest is sitting in “reserved seating”, the shade of pink roses you agreed on isn’t what’s in the bouquet and other b-list dramas that will always distract. 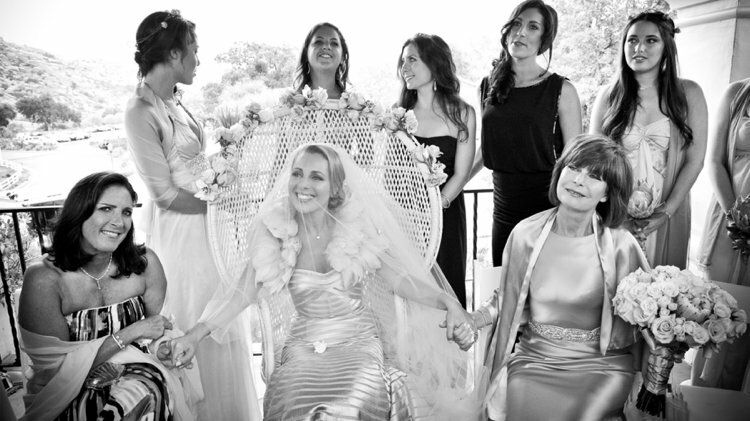 Our sages say that the role of the guests is to bring joy to the Bride and Groom. The couple is to be treated like royalty. We believe it is the most auspicious and holy day of their lives – the Yom Kippur of all Yom kippurs. 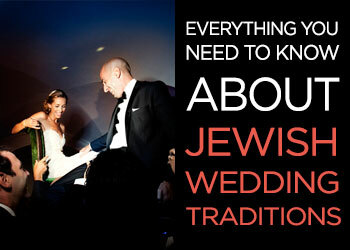 For this reason, some have the tradition of fasting until after the Chuppah ceremony. Even if you choose not to do that, appreciate that the wedding day is a spiritually charged time with immense potential. We believe the Bride and Groom are like angels, and have a clearer channel to Hashem. With this power of communication, use the day and the time under the chuppah to pray deeply for what you want in your life, for the strength of your marriage, for health, for children and anything else your heart desires. You can also pray for the people you love. Ask around if anyone is unwell, so you can have them in your thoughts. Another beautiful extension of this is that the Bride and Groom can give blessings to their guests. Whether it’s out loud or under your breath, take a moment to be truly present with the person in front of you and utter a prayer for their wellbeing. So many of our rituals require action, and all of these elements are reminders that this is a holy celebration. 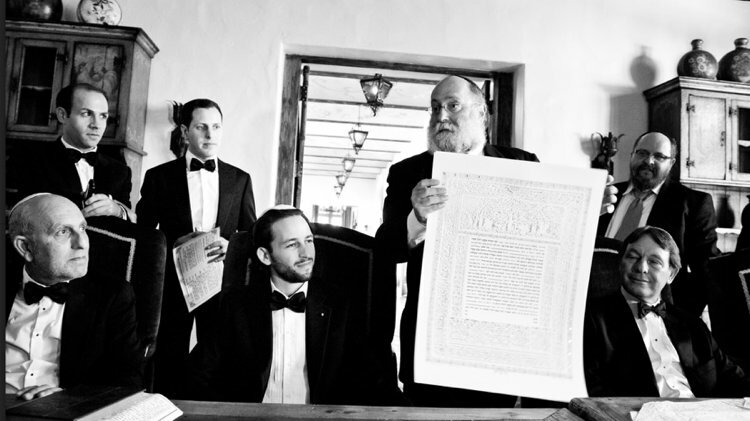 From the obvious kippot and the smash glass, to remembering to bring an elegant pen for the ketubah signing, there are countless traditional items you need to remember to include. 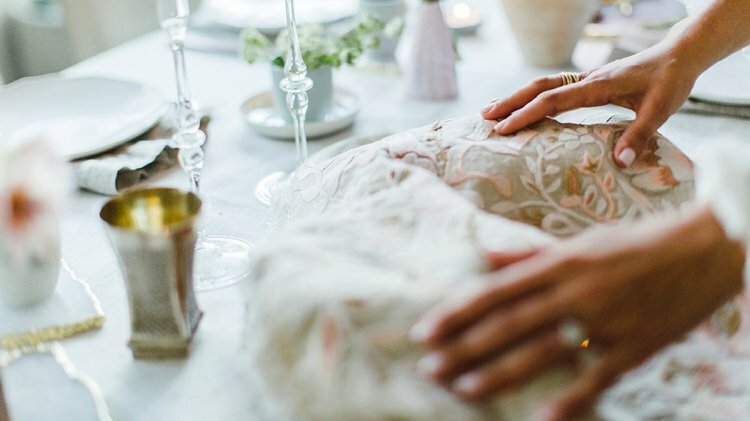 These can be precious family heirlooms igniting a connection to someone you love, or they can be wedding gifts that herald the life you’re about to step into. If you’re having a shabbat dinner, the list grows. A beautiful challah cover, kiddush cup and candles for the guests to light are just the beginning. 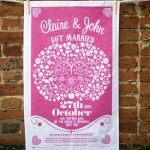 Use my checklist here to make sure you have all the essential elements for the day and wedding weekend. So why is this all so important anyway? 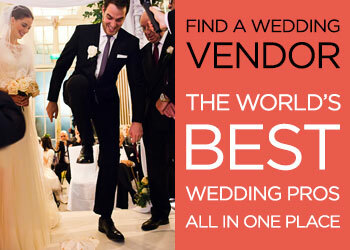 Your wedding is just the beginning and has the power to set the tone for the rest of your life. You will look back at it and laugh at some things, marvel at how naive you were, wish you could re-live it, and hopefully, use it as a compass to direct you toward the overwhelming feelings of love and sanctity you felt that day. We believe two souls are brought together to bring a new light and spirit into the world. There is something that is needed that only you two can generate. You have a shared purpose. Nurture this purpose and your relationship, by committing to something together. 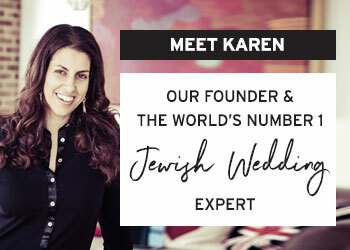 Whether it’s continuing with Jewish learning after the wedding, hosting a shabbat dinner on a regular basis or volunteering in your community – find a something meaningful, that connects you to the energy of your wedding day, and builds on that foundation. 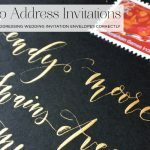 However you choose to celebrate, I hope that you tap into the unique power of your wedding day, and connect in a way that is memorable for you and everyone there. 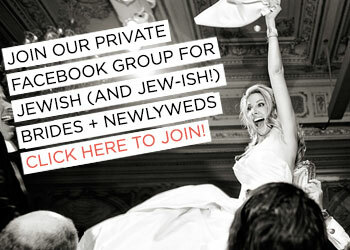 If you would like to learn more, please download my FREE Spiritual Jewish Wedding Checklist. And be sure to reach out if you have questions! May it be joyful and blessed! Micaela Ezra is an illustrator, textile designer and the creator of AHYIN Judaica. She brings spiritual ideas to life through her design and writing, focusing on the power and beauty of Jewish ritual and how we relate to it. 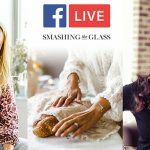 Raised in Australia, she resides in NYC with her husband and daughters where she is constantly brewing up a creative storm, amidst learning and mothering. The Jewish Wedding and Breaking the Glass. Why?